Family owned and operated for 50+ years, Aquatic Development by Tapley is one of New England’s oldest established swimming pool design & build firms. 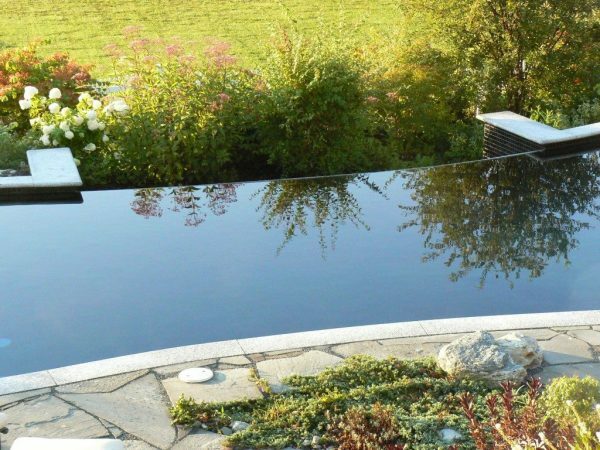 Building quality swimming pools and spas since 1962, Aquatic Development specializes in customized gunite swimming pools and gunite spas, negative or vanishing/infinity edge pools, water features, and vinyl swimming pools. Based out of Hermon, Maine, we travel statewide to provide outstanding service to our clients. Aquatic Development builds and designs swimming pools and spas to fulfill the needs of the customer. Whether commercial or residential, Aquatic Development provides superior quality products along with unparalleled professional service. Our company is built around customer care and satisfaction. We are committed to providing our customers with the best service. Whether we are simply testing your water or building the pool of your dreams, you can expect professional service and helpful advice from each member of our team.